Clematis Cardinal Wyszynski, is fantastic for your garden with huge 6-8" bright crimson flowers. 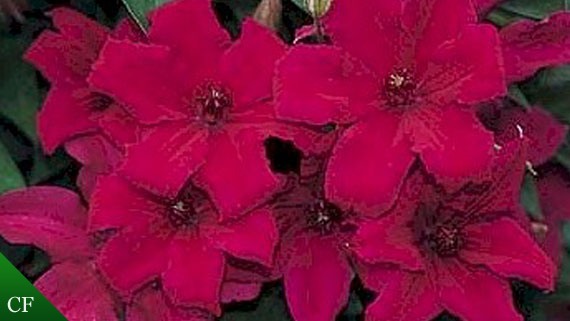 These flowers are accented with darker crimson anthers and light pink filaments. Blooms from mid Summer through early Fall.